NOTE: You will be taken to a separate LInk and after you're finished learning about our product line, just come back to our main Website in your Browser Window. AS BRIEF EXAMPLES, DISPLAYED BELOW ARE TWO TYPES OF WEDDING ART BOOKS, A GALLERY WRAP WALL ART DECOR, A METAL PRINT AND A FRAMED FINE-ART METALLIC PRINT. Note the difference between the third and fourth image. It's amazing! The vantage point of viewing is identical and the only difference is really the SIZE of the image. The lesson here is that artistically-mastered images need to be appropriately sized for the environment where they are displayed. 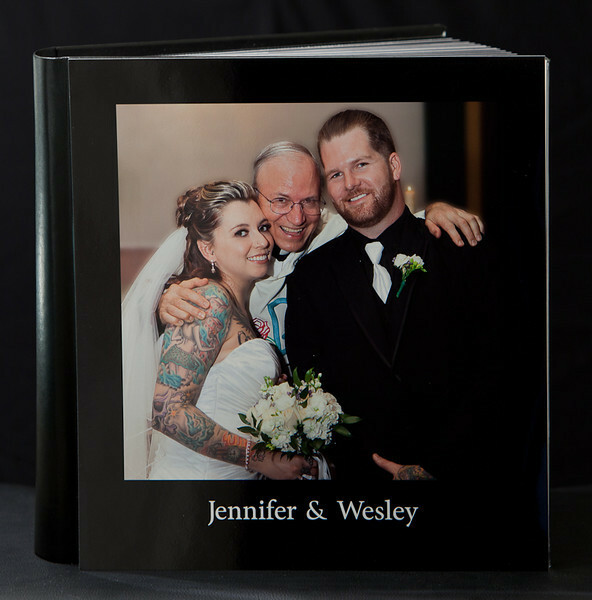 FYI, these are only examples of a wide range of photographic products we can create for you. Beside each image is its description. Many other clients use beautiful photography to showcase their Engagement Portrait, Family Portrait or Senior Photography Session with cards for Graduation, Engagement, "Hold the Wedding Date", Holidays, Baby Announcement, etc. Gallery Wrap Wall Art Decor, custom-printed on Canvas of adequate size to display over a sofa (pictured here), a mantel or a loveseat. This size is 48" wide x 32" high and is about the proper size to blend in as part of the decor. The next image is the same photograph, except a metal print sized 10" x 8" is displayed over the sofa. You decide which one looks best for an artistic display! Here is that 10" x 8" METAL print. Looks great here, huh? LOL. Of course, adequately sized METAL prints look FANTASTIC! A Metal Print represents a new art medium for preserving photos by infusing dyes directly into specially coated aluminum sheets. Because the image is infused into the surface and not on it, your images will take on an almost magical luminescence. Metal Prints are available in 3 different surfaces: High Gloss, Satin, and Sheer with a Glossy or Matte finish. You've never seen a more brilliant and impressive print! Colors are vibrant and the luminescence is breathtaking. Detail and resolution are unsurpassed. To compliment this unique printing method, we have a variety of modern ways to hang and display your Metal Prints. Vibrant colors and brilliant luminescent images. Available in a wide range of sizes from Business Cards to 40x60, including Circles, Ovals, and custom sizes. Optional Float Mount Blocks or corner-drilled holes. Easel Stands can be ordered with print sizes 5x5 up to 11x14. Multiple corner options, including Sharp Square*, Rounded or Scalloped. This is a Fine Art Portraiture printed on Metallic Photographic paper and appropriately framed. It displays nicely as a Hall or Entry Way Portrait.